Sonia Coman is a Content Contributor in the area of Japanese art. Her research focuses on cross-cultural exchange, ceramics, and the relation between poetry traditions and visual and material culture. Coman received a B.A. 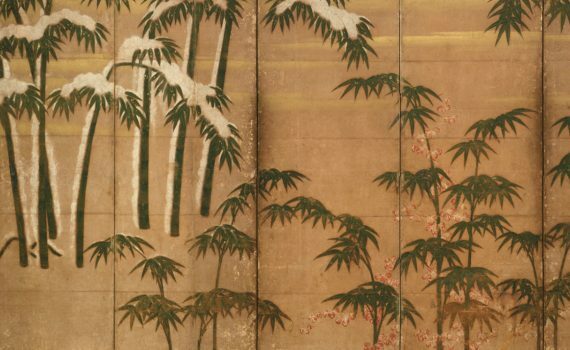 from Harvard and a Ph.D. from Columbia, where she wrote her dissertation on the Japanese aesthetic principles that spurred a reinvention of French and Japanese ceramics in the late 19th century. At Columbia, she designed and taught an undergraduate seminar on the soft power of ceramic arts across world cultures. In 2018-19, Coman will explore Charles Lang Freer’s Japanese ceramics as the Anne van Biema Fellow at the Freer Gallery of Art in Washington, DC.